Judging Your Opponents In Poker Poker is not a microcosm of life. It does not reflect any world or religious view, nor is it a romantic world as portrayed in many Hollywood pictures. While there is much enjoyment to take from the sparring between players in high-stakes rounds in an online bingo, poker is a game that is mainly about winning. In this case, it is important for new players to arm themselves with all the information they can before leaping into the shark-infested waters of the real poker pit. In this way, they may find that they emerge victorious, holding aloft a few skins of their own. Any aspiring poker player will know of “tells” made by players that transmit information about their hand to their opponents. These could be audible sighs, scratching of ears, or verbal comments regarding the strength or weakness of a particular hand. A good practice when facing opponents for the first time is to second-guess what their behaviour will be. Judging players first on their appearance will focus the mind of the judger, as he or she will be desiring to get their prediction right. Whether correct or not, the mind will now be concentrated on the task at hand and will notice small idiosyncrasies relative to each player much more readily. 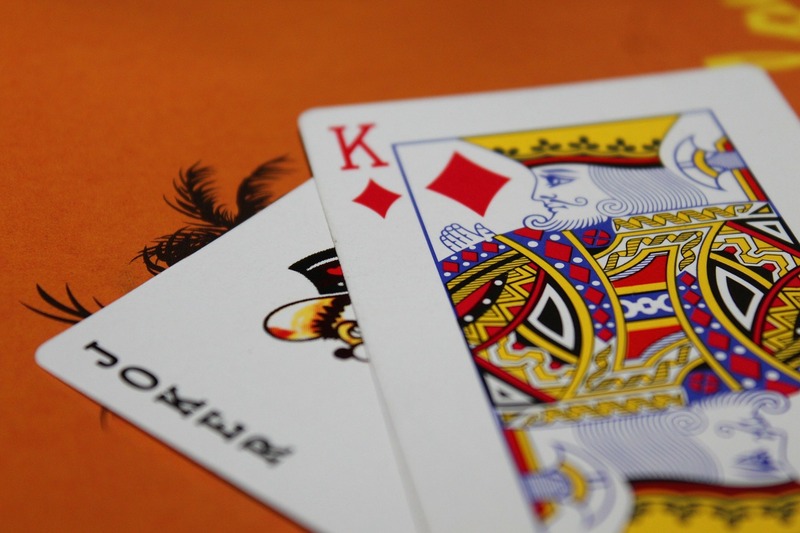 Poker chat – what the Brits would call banter – is common to all levels of poker play. At the final table in the World Series of Poker in 1998 famously challenged Kevin McBride with the line, “You call, it's gonna be all over baby!” McBride had no choice, but while the outcome is irrelevant Nguyen's style tells its own story to those in the audience along with cranking up the atmosphere – a normal occurrence with a showman like Nguyen. Naturally, when first taking to the table players are highly unlikely to face experts like Scotty Nguyen or Johnny Chan, but more likely Joe Somebody from Milton Keynes. Any new players that arrive at a table have a secret to hide, and gentle conversation with those new players will not only befriend them and ergo perhaps softening them to go easy on you later on down the line, but also it will garner valuable information about them and their knowledge of the game. Guiding the conversation toward great or favourite poker plays and listening for their use of lingo will expose any expertise these players have. Should they be merely an avid watcher of poker on ESPN or Channel 4, their lack of knowledge about the game will become readily apparent. While these are some of the more devious methods with which to assess the skill level of your opponents, there are some which are so obvious that any new player would not think it possible. For example, there are a great many players out there who associate playing poker with nights in with the boys, and will happily join a high-stakes game after spending four hours at the bar. Such players are to be warmly welcomed onto any poker table, as the decision making skills of any drunk are immediately compromised. All in all, the game of poker can be a ruthless one. However, this does not necessarily mean that it has to be. These tips are those that are sanctioned in a host of bingo reviews, and are not intended to transform an honest poker player into a shark. Being aware of the dangers allows new players to fend for themselves, but how ethically they play is ultimately down to them.